To enhance existing security measures and expedite venue entries into large sporting events and concerts, many universities, NFL stadiums, and arenas across the nation have implemented a "Clear Bag Policy," regulating the size and type of bag permissible for entry. 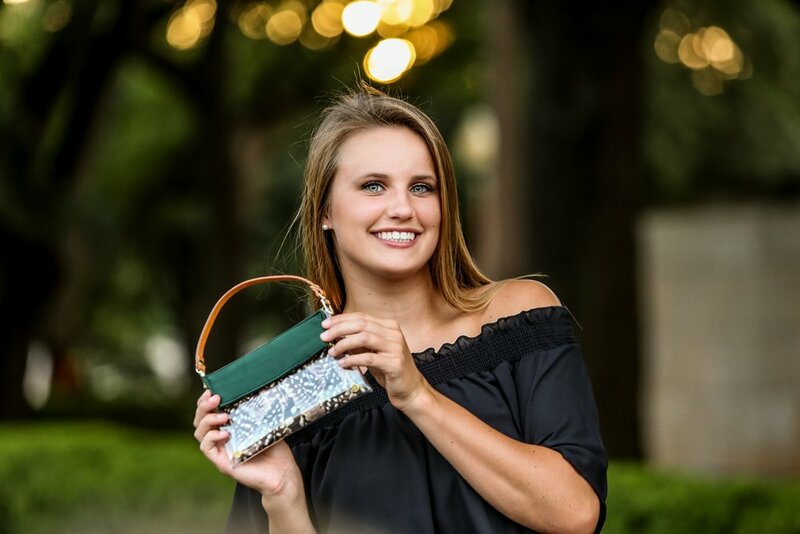 Kristyn Chambers' clear handbags are both fashionable and stadium-approved, designed to get you into the game...in style. For more information on The Clear Bag Policy, please click here. Choose between our bag sizes, Victory, Victory Mini, or Victory Mini Plus. Each bag comes with a Gamechanger - an interchangeable, poly satin or microsuede privacy pouch. 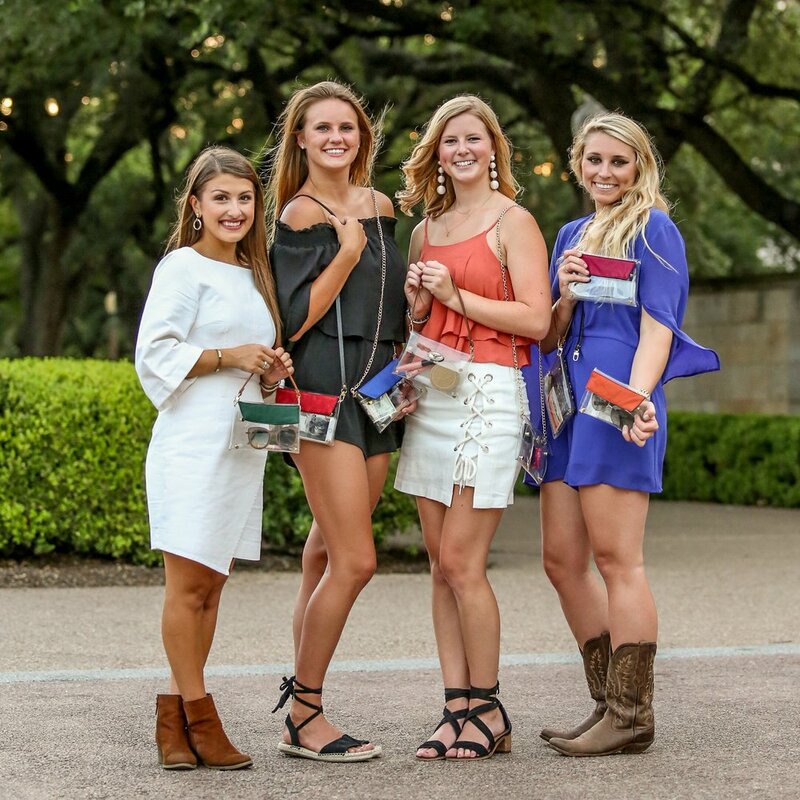 Victory bags come with the choice of a crossbody or shoulder strap, in brown, black, or tan leather. 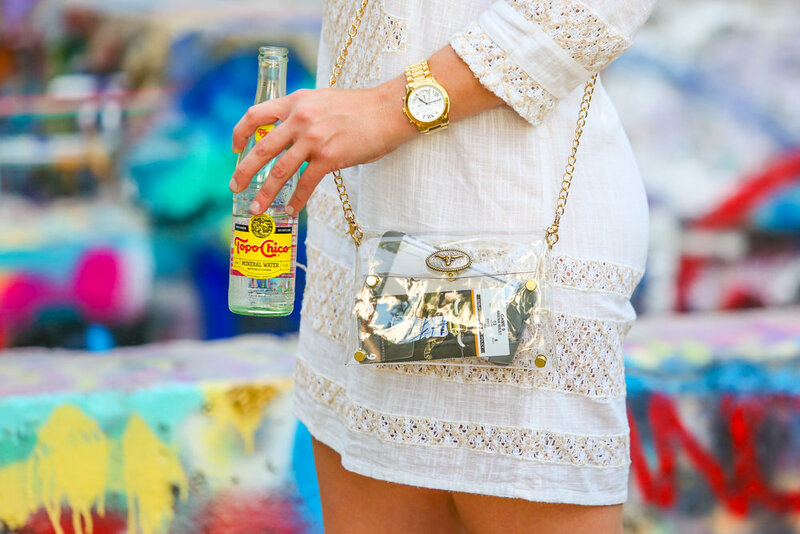 Victory Minis come with a goldchain crossbody strap. 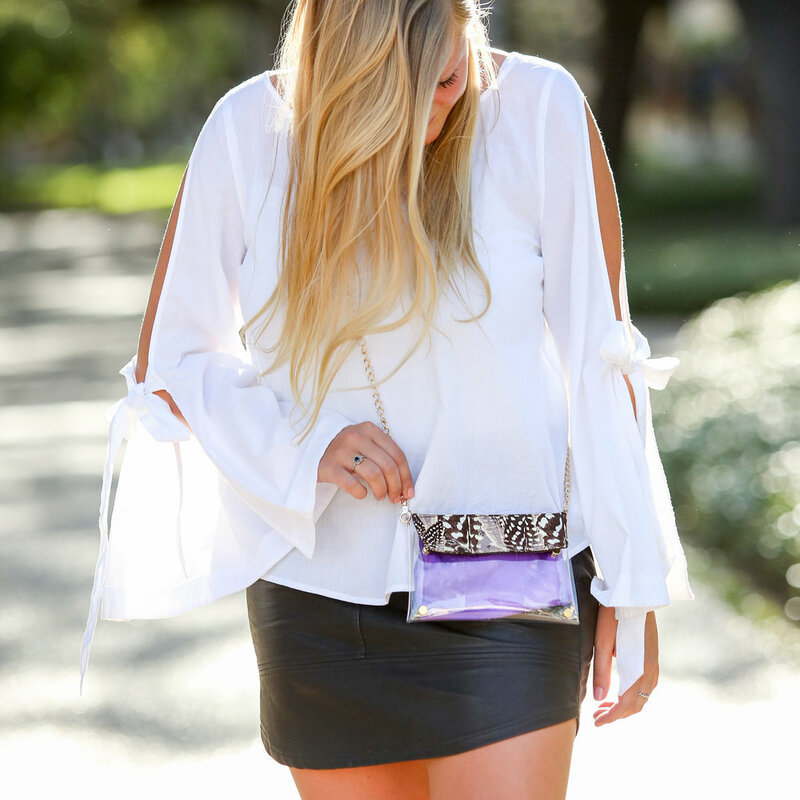 Wristlet sizes and additional leather straps may be purchased in our Separates store. To create a variety of looks for your handbag, visit the Separates section of our online store where you’ll find additional Gamechangers and interchangeable straps available for purchase. Customize away! Kristyn Chambers is no newcomer to the design industry. As a single mother of three teenage sons, Kristyn finds herself always on the go and truly believes accessories are what "make" the outfit. Her affinity for accessories is what inspired Kristyn to begin designing herself, originally focusing on her signature custom belt designs. Read More About Kristyn's Story. Sign up with your email address to receive news and updates on product launches and sales. "Clearing Up The Clear Bag Policy"